If owning the biggest SUV on the block is no longer enough, then it's time to get one in a color all its own. 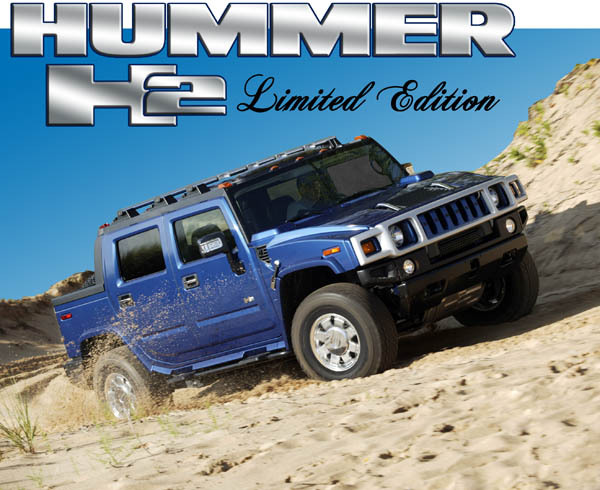 Hummer is now offering a unique “Pacific Blue" limited edition H2 for 2006, available in both traditional SUV version as well as the open-cargo SUT version with the folding mid-gate. 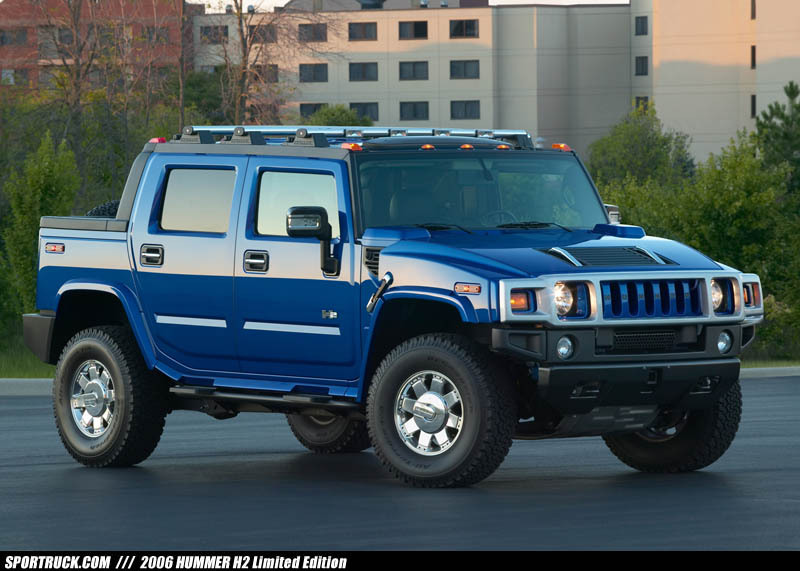 This exclusive H2 offers more than just a unique color, and at a nearly $13,000 price premium over the standard H2 you would expect something a little more upscale. 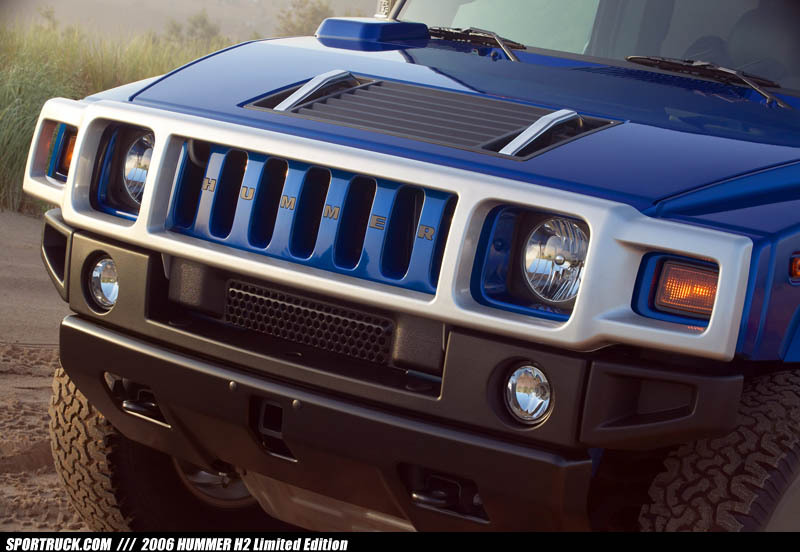 This H2 wears its Pacific Blue designation like a mantra. The name is appropriate for an SUV that is destined reside in exclusive beach communities. Given the opportunity, this H2 is very capable of displaying its off-road prowess; however any adventure into rugged territory will surely cause your detail guy to throw a fit – there are enough chrome and paint-matched accessories here to keep him busy cleaning all day. Many of the modifications here embody form over function. Starting up front you will find a satin-finished brush guard and a body-color grille. 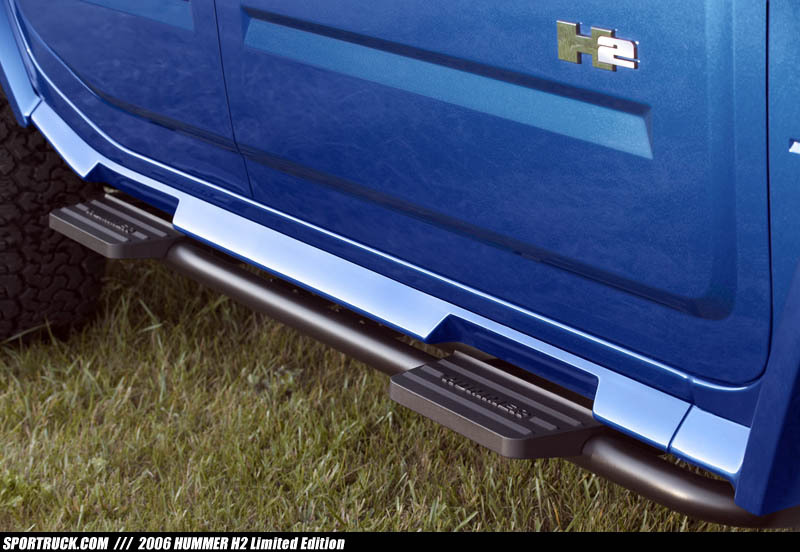 The fender trim also receives the body-color treatment, while the sides of the H2 wear special rocker moldings that are contoured around the integrated assist steps. Continuing the theme in back you will find satin-finish tail lamp guards. 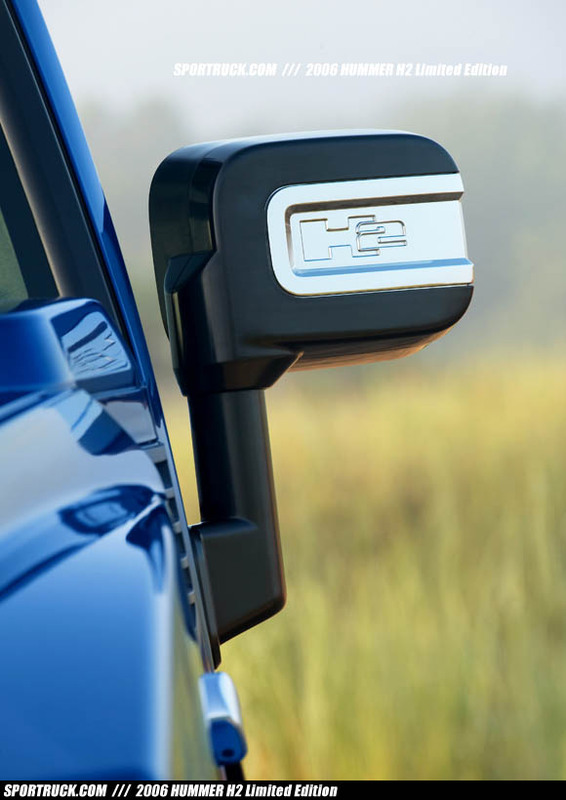 The limited edition wears various chrome accent pieces, including the door handles, hood handles, hood latches, fuel filler door, and mirrors. 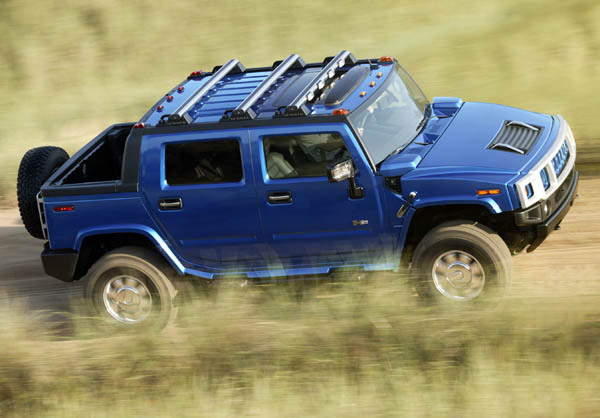 The roof receives a satin-finished low-profile roof rack, with the front crossbar doubling as an off-road light bar with built-in lamps. 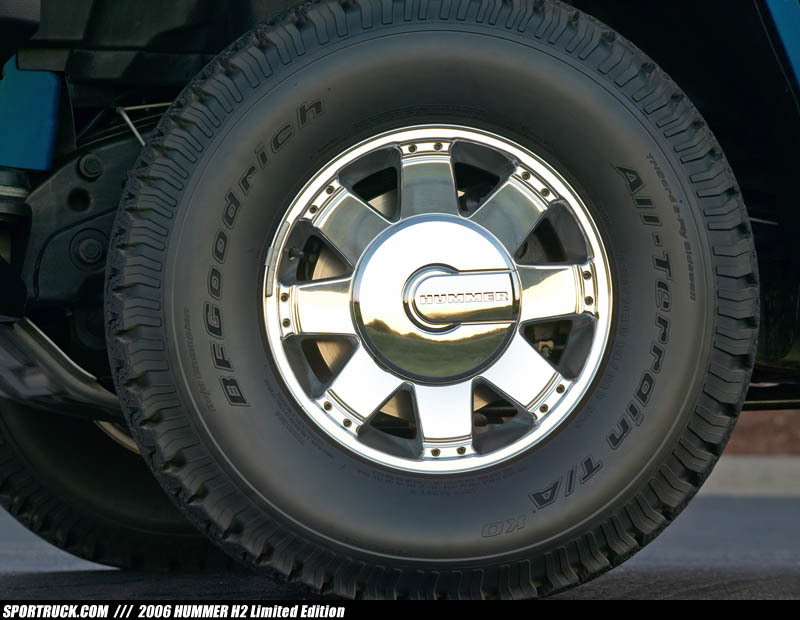 Polished forged 17-inch aluminum wheels and all-terrain tires complete the exterior package. Inside you will find everything offered on the standard H2, such as the heated eight-way power leather seats with seat position memory for the driver, and heated seats for second-row guests as well. 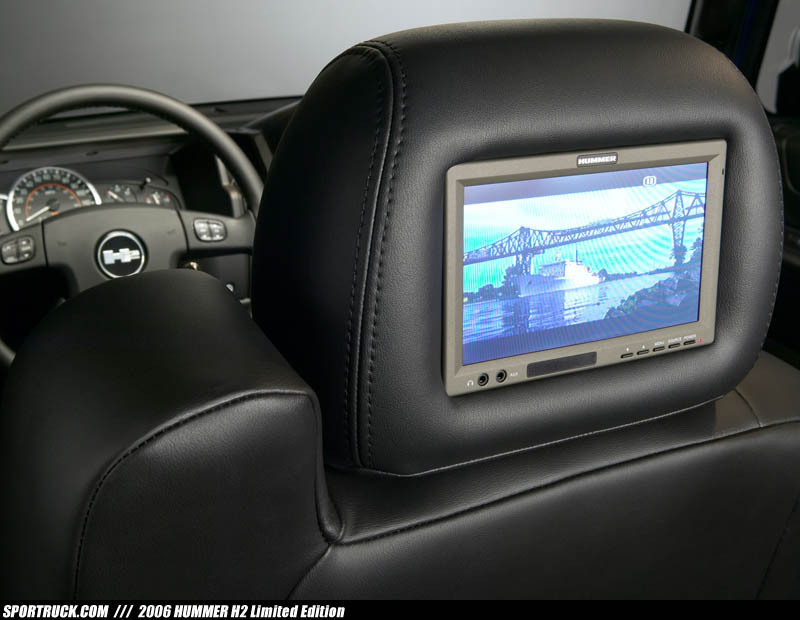 The limited edition kicks it up a notch with carbon fiber accents throughout, and along with a DVD entertainment system for those in the second row, including headrest-mounted screens and wireless headphones. 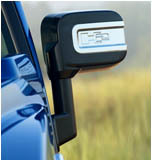 The driver gets a screen as well, in the form of a 2-by-2 inch screen that emerges when the H2 is put into reverse. This new rear-vision system uses a camera to view obstacles that otherwise might not be seen when backing up, including children, other cars, or even small buildings. To complete the upscale package, the limited edition gets a heated windshield wiper system that can supply warm fluid to remove snow, ice and debris, if you should encounter them. 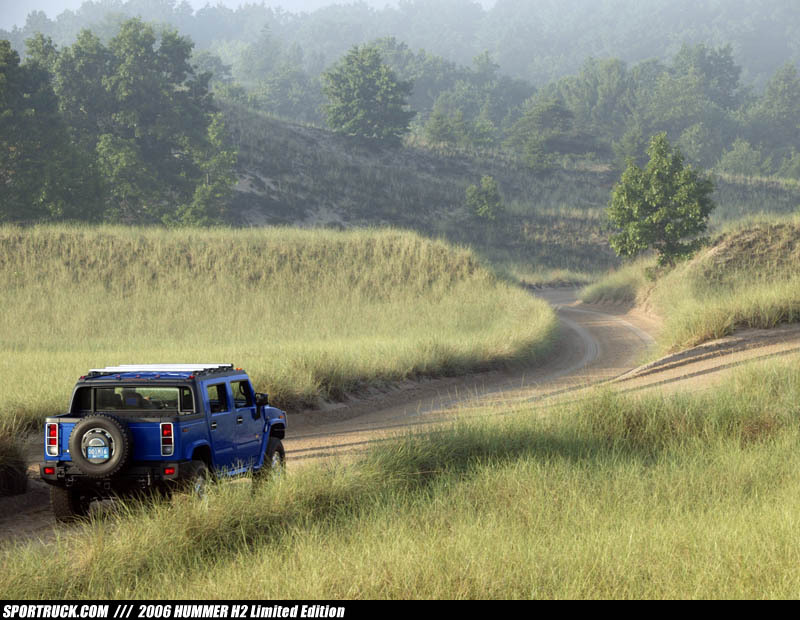 Only 875 of these limited H2 will be produced, and they are available at dealers this month. 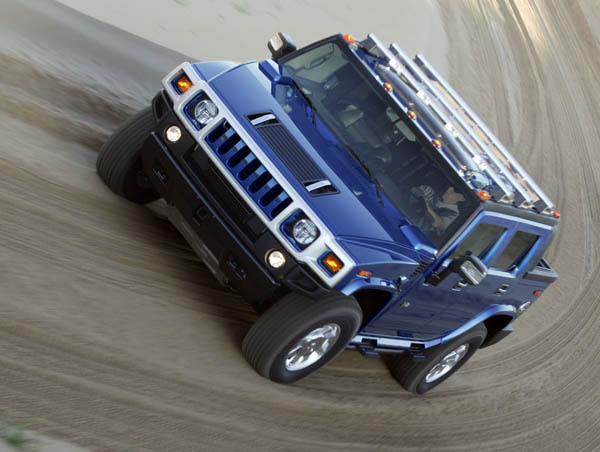 If you cherish the exclusivity this H2 offers, we’re sure you won’t find the $65,900 price of the SUV unreasonable. 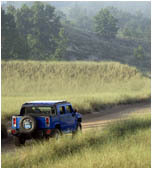 The SUT version is priced at $65,455.